All Americans are guaranteed our rights to free speech as stated in our Constitution. It’s a wonderful thing, and as Americans, we’re all grateful for it. Until, of course, it’s used against us. Unfortunately, free speech allows anyone to post anything they want about you online, regardless of its veracity or lack thereof. There are a relatively select few out there that abuse this right and use freedom of speech for negative purposes. Social Media, blogging platforms and “complaint” websites provide increased surface area for those with malicious intent to commit defamation. These acts committed online are also difficult to actually remove. The good news is that there are certain channels where you can have the webmaster remove the defamatory post. The bad news is that 98% of these websites will require a court order possibly also involving a subpoena. Do you believe that someone is slandering your name or brand name online? We can help! But first and foremost, there are 4 considerations that you must be absolutely certain of. Is the claim or the information in the defamation absolutely false? Do you have sufficient evidence to prove it is false? Is the defamation targeting you or your brand name personally? In other words, if you have the same first and last name as a serial killer, you are essentially out of luck. You cannot have it removed. Do you have any legal actions against your name or any prior convictions? If you’ve answered yes, you’re also out of luck. Let’s be realistic here. You’re really not going to have much of a case if you have a felony because the judge is not likely to rule in your favor. Have you already attempted to have the defamation removed by contacting the source? Were your attempts unsuccessful? Once all of the above has been checked out, you have only two methods to have this information buried or removed from the search engine results. 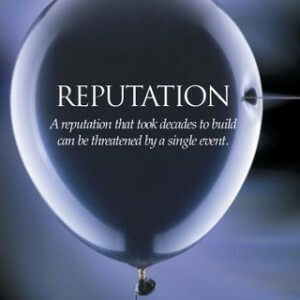 At the heart of reputation management is a strong content creation and promotion strategy that works to bury defamatory posts deep down in the search results so they are no longer readily visible online. While it is important that you take the first step and make contact with a webmaster to get the defamation removed, it doesn’t always work. This means you must have other strategies to affect the change in results you want. To begin, start creating content that highlights the positives about your company and showcases your expertise. Consistently publish several articles per month. This will work to your advantage because Google’s algorithm takes into account the “freshness” of any article published online, meaning that the most current articles get the most visibility. To boost those efforts, research the terms that display the defamation when people search for you or your business. Often, these can be such terms as “Company Name Complaints,” “Company Name Scams,” or “Company Name Reviews.” Write articles using these keywords. However, there’s a twist. You must find a way to make these topics something positive about your company, which can be tricky, but is certainly within reason. Once you have created these articles, syndicate or promote them throughout the web for the purpose of building strong links for each one because that is what will ultimately help them to compete successfully with the other results on the first page of the search engines. To continue with this strategy, write press releases detailing something positive you or your company is involved with. This can even include any actions you have taken relevant to the defamation. Syndicate them throughout the web where they will be picked up by different media outlets and industry-related publications. To further promote your content, identify different opportunities within social media. This will help you build natural, organic links to your articles that will also help them compete with first page results. However, don’t just publish your content; interact with your audience as well. By doing so, you will build credibility and authority. Be transparent; let people know what is happening and what you are doing to correct it. Not only should you promote your own content, but link to articles written by other authorities in your industry or niche. This will further establish your credibility and authority, which is what these perpetrators are ultimately attempting to take away from you. If you have a network of consumers who believe in you and your brand, who support you and deny the defamation along with you, it will go a long way toward lessening the impact of any false claims. The more content you can produce, implement, and build links for, the sooner the defamation will be buried in the back pages of results. Just remember to only focus on the first page, because the overwhelming majority of search engine users never click past that page. One more element to add to this strategy is client testimonials. If you can have actual people supply you with a written or video recorded testimonial, mentioning the positives about you and your company, you can distribute them through sites like TubeMogul and YouTube, which will also help push the defamation into search result page oblivion. Characteristics of the Defamation (post; article; image etc.) and proof that it’s fake, incorrect, or inaccurate. Expert qualifications of the individual(s) making the claim that the information is fake, incorrect or inaccurate. This might require a Google Certified professional, company and / or an individual who is an expert in the area of Internet Marketing and Technologies such as a speaker or author in the industry. Keep in mind that this process can cost well into the 5 figures. Optimum7 is well experienced and successful in online reputation management on behalf of our clients. We have published a great deal of content on many related questions and issues. 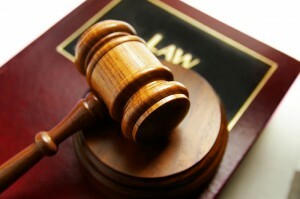 In addition we maintain strong professional relationships with experienced attorneys dealing with online defamation cases. If you are experiencing negative, even defamatory online experiences, contact us today! The initial consultation is free.